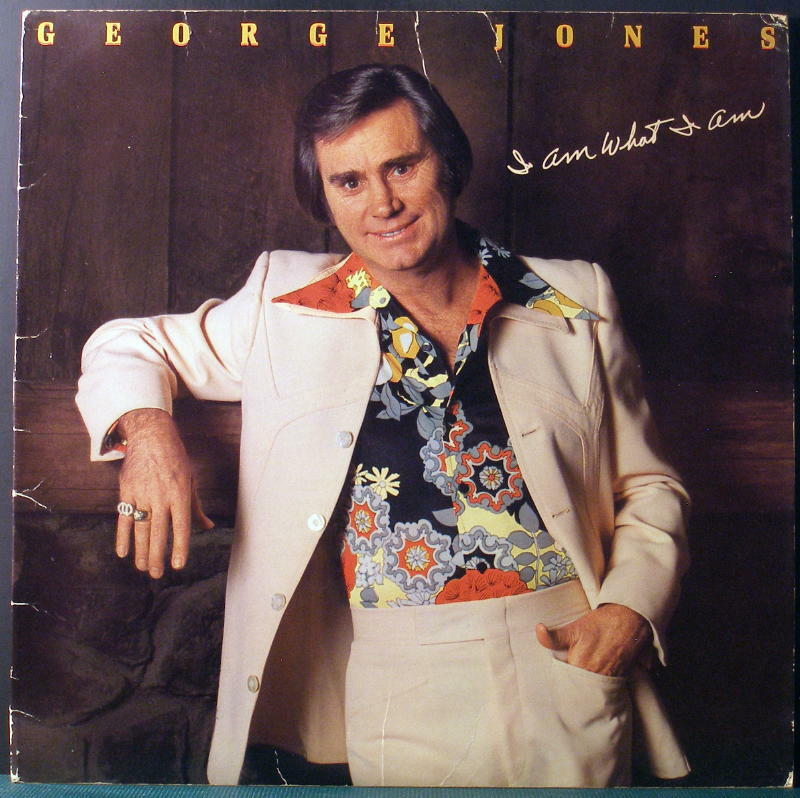 I love the voice of George Jones, and today we present his best album, I am What I am. It was released September 1980 on Epic Records label, then on July 4, 2000 this album was re–released with bonus tracks on the Legacy Recordings label. It peaked at number 7 on the Billboard Country Albums chart and number 132 on the Pop Albums chart. I Am What I Am went Gold in 1981 and Platinum in 1983. We can not find the exact release date, but September it is. Merle Haggard wrote in Rolling Stone magazine that “His voice was like a Stradivarius violin: one of the greatest instruments ever made.” This was never more true than on this classic country release. When George Jones was divorced from Tammy Wynette in 1975, he went on an epic binge, an excess in cocaine and alcohol. His albums continued to sell ok and his singles were on the charts, he actually recorded some of his most popular songs between 1975 and 1980, but George was a wreck on a personal level. He started cancelling concerts in large numbers and he got the un-flattering nick name, “No Show Jones”. George Jones went into rehab at a psychiatric hospital in Muscle Shoals. Thank God for that, it was the start of what would be his best record. It is a dark album, full of heartbreak and drinking, good melodies and the velvet voice of the restrained, but strong Mr. Jones. That is so true, all tracks are very good (not just the three hit singles!). This album is the sound of George Jones at his peak and it’s the highlight of his later years. …and he has one of the best shirts in country music history on the cover!